MCKORR is focused on designing and providing handcrafted and manufacturing solutions with a unique requisite: to use as raw materials just scrap, valuable scrap despised by mostly of us, though this trend is hopefully changing thanks to you. Our principle is Sustainability: not for economic reasons, just true conviction. Once it is designed we research and study the best ways to make the designed products in order to reduce its costs and its final price, although the eco-target is already fullfilled. 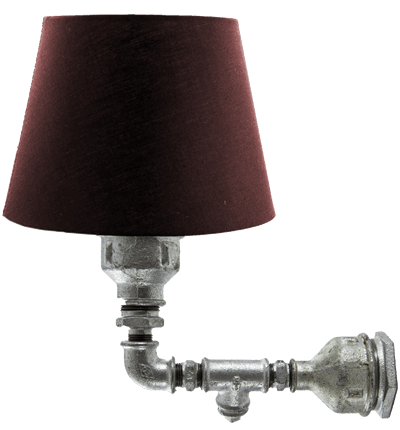 Our first range of products are these lighting fixtures. As Frankenstein´s, they are made from different parts with different colors and places, with a special and authentic personality that gathers the very best qualities to last. 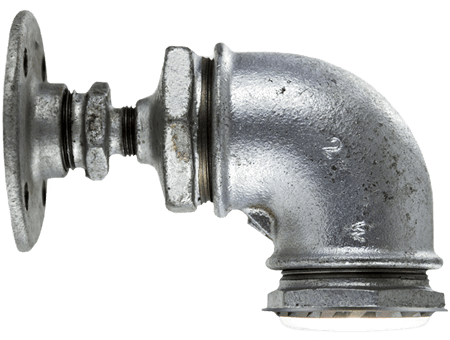 Pipe Fittings are those pieces like sockets, elbows, reducers which are used for connecting lengths of pipes. It is a small and often standardized accessory to a larger system. They allow pipes to bend at corners or increase or decrease in width.